There are few parts of a baseball game more enjoyable than watching a hitter square a pitch up and absolutely destroy the ball. That’s what makes Giancarlo Stanton one of the game’s most exciting players–he’s just a man who can hit baseballs ridiculous distances. When the Yankees’ top position player prospect Aaron Judge was drafted out of Fresno St. two years ago, the Stanton comps were immediately thrown around. Obviously that’s not quite fair since at Judge’s age, Stanton was already in the majors crushing bombs, but like Stanton, Judge is a menacing presence in the batter’s box, stepping in at 6’7″ and 275 lbs. He towers over his teammates and he’s given minor league pitchers headaches ever since he played his first game in 2014. As Wittman noted in the quote above, Judge’s power is remarkable. Not all analysts agree of course, but when the lowest grade used is about 60, it’s a good sign that the prospect is a remarkable talent. 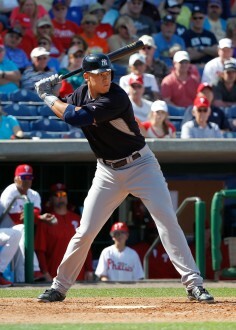 Last year, Judge hit .308/.419/.486 between Low-A Charleston and High-A Tampa, slugging 17 homers in 131 games. The challenge of the more advanced Double-A pitching slowed his pace somewhat, but nonetheless, he is batting .283/.350/.500 with 10 homers already in 57 games, a pace that would put him ahead of last year despite playing half his games in the pitcher’s paradise of Arm & Hammer Park in Trenton. 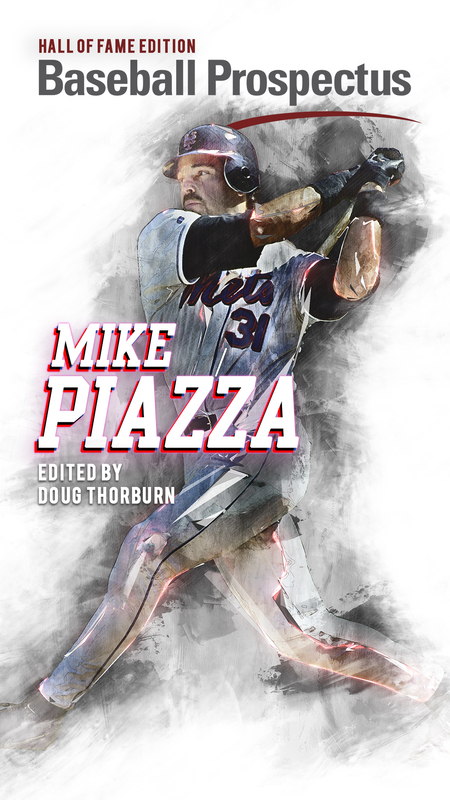 Sometimes, it can be difficult tracking footage of prospects, regardless of their skill sets or futures, so it seemed like a fun idea to give readers an idea of Judge’s power. 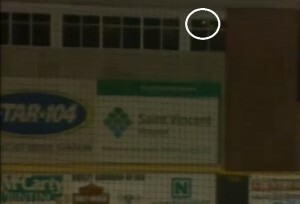 Excuse the occasional graininess due to minor league cameras. There’s no doubt about it–the dude can mash with the minors’ best prospects. Yikes. Now imagine how far that would have gone if Erie Insurance Arena wasn’t sitting behind the fence. This was Trenton’s first home game of the season and the first chance most local Yankees fans had to see the 23-year-old slugger. He did not disappoint. The Thunder rallied to tie their game against the Portland Sea Dogs in the ninth, and Judge stepped up with a chance to win it all in extras. After one long blast over 400 feet into the Trenton night onto Route 29, it was over. “I got that one,” said Judge to Rolling Thunder. “It was one of those where you hit and it doesn’t even feel like it touched the bat, so I knew.” It’s awesome that he just knows these things instantly. This Judge homer was simply impressive plate coverage. The pitch appeared to come into the strike zone up and in, and yet he still had the power drove it out to left-center a little under 400 feet and off the videoboard next to the “Maine Monster” in Portland. This was an especially fun game, as fellow hard-hitting prospect Greg Bird followed with a long blast to center field of his own. Yankees prospect fans will undoubtedly be dreaming of that back-to-back combo in the lineup. 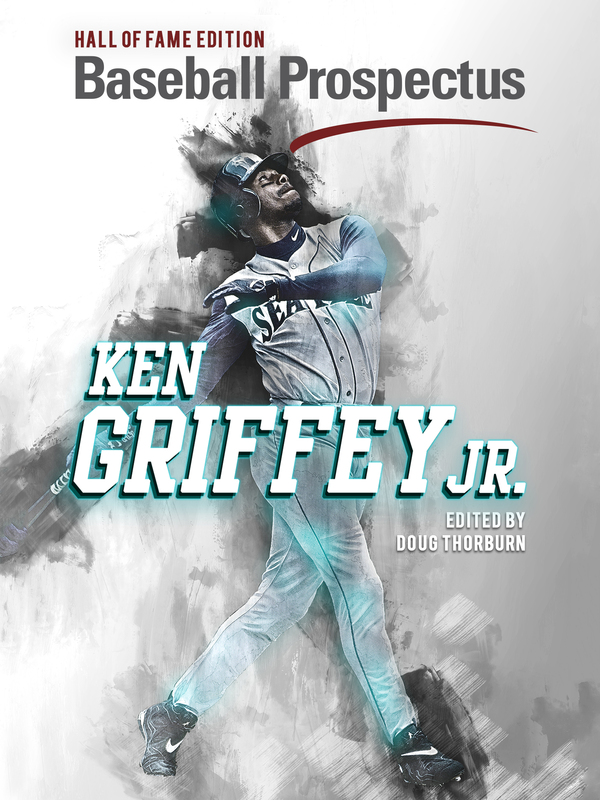 Any decent power hitter can pull long homers, but it takes an awesome one to know what to do with a pitch toward the further half of the strike zone. 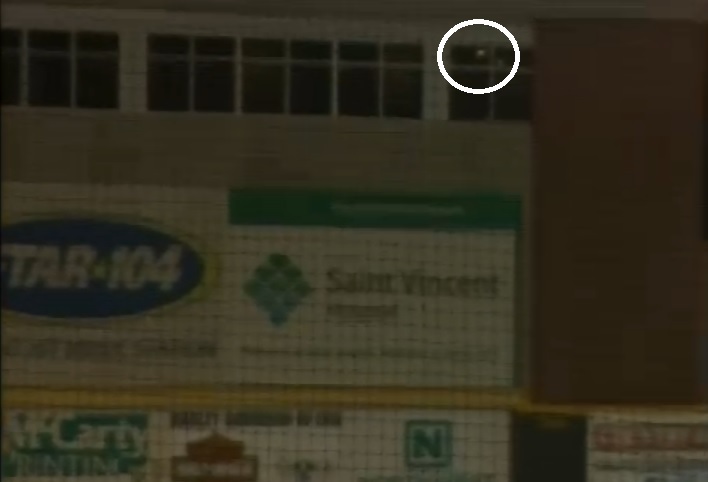 Judge took this outside fastball to the opposite field, all the way into the Delaware River outside Arm & Hammer Park, well beyond the 330 foot marker down the right field line. Gracious. The Harrisburg Judge show continued a couple days later when Judge reached double digits in homers on the season with a monstrous clout almost to the same exact spot in the GIF above… except this time, it went further and out of the park. Judge is currently second in the Eastern League in homers with 10, and the only person ahead of him isn’t really a prospect. He still has some work to do improving his plate discipline and approach to more complicated pitches before he’s ready for another promotion to Triple-A Scranton, let alone the big leagues. However, his prodigious power has been quite apparent early on. It’s been quite awhile since the Yankees developed a true power hitter, but Judge might just be that special someone. How long before the “Homerin” Judge comes to the Bronx? A real exciting game changer for Yankees fans- possibly in 2016! I Hope the Yankees resign Texeria so the two of them can blast away opposing pitchers in the Bronx and elsewhere. It would be nice to see “Tex” hit his 500th in pinstripes!